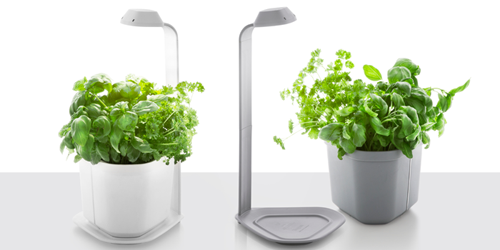 Genie is designed for a wide variety of plants – everything from flowers to veggies. The Active Growing Technology ensures that the different types of plants prosper without any extra effort. 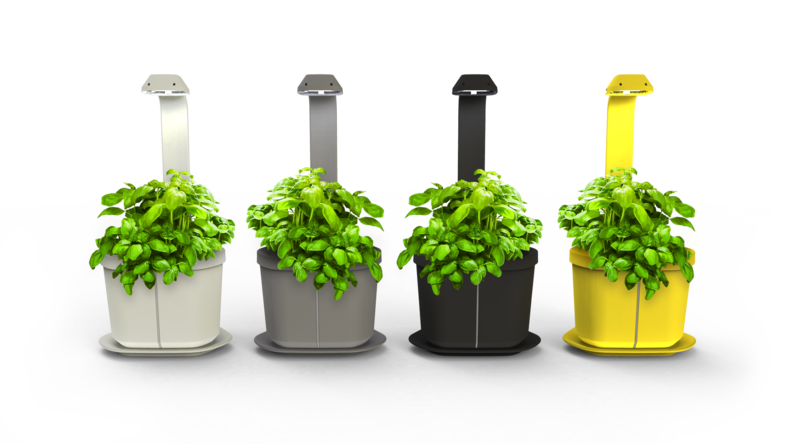 You can put pots with a diameter up to 15 cm in Genie enabling you to use plants grown elsewhere. For faster and bigger crops, we recommend to purchase the Genie growing light. With only an effect of 5,5 W the lamp gives out 800 lumens of the optimal spectrum which is all the light the plants need. 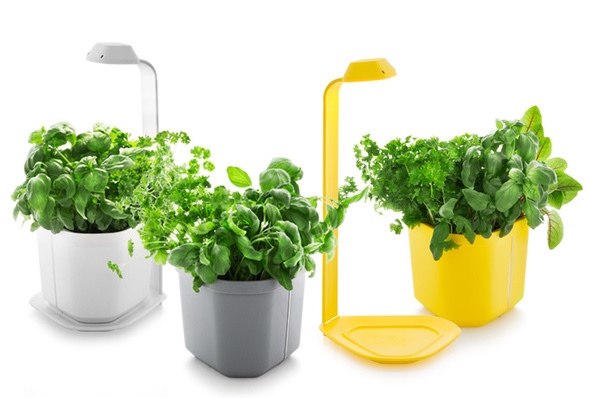 Genie growing light can also be used for normal pots. You can extend the modular lamp shaft up to a height of 72 cm.